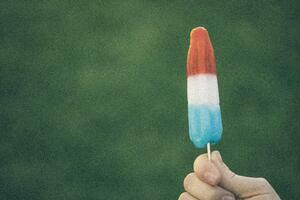 Ice cream and popsicles are the perfect treat for both hot summer days AND post-op recovery: Coincidence? We think not! Having your wisdom teeth removed might not be the first thing you think of when you think of summer. You’re probably thinking more along the lines of backyard barbecues, trips to the beach and relaxing vacations. But if your dentist has recommended that you have an oral surgeon perform wisdom teeth removal, summertime is actually one of the best times to get it done. For teenagers and young adults, it generally takes about three to five days to recuperate from wisdom teeth surgery. While it is not major surgery, wisdom teeth removal is a major dental procedure. You will require some downtime. Instead of missing school or extracurricular activities to recover from wisdom teeth surgery, have the procedure done during your summer break. You’ll have plenty of time to recuperate without feeling rushed to get back to school and other activities. Schedule your wisdom-teeth removal now before summer starts and take advantage of the increased appointment options available to you. You’ll be able to choose a date that fits best with your summer schedule. Most oral surgeons anticipate this busy "wisdom tooth season" and work all summer long to accommodate students. The recovery phase of having wisdom teeth removed may involve facial swelling and redness. While these symptoms are normal and temporary, you may feel self-conscious at school. When you choose to have this dental procedure done in the summer, you can avoid embarrassment by not returning to school with chubby cheeks. Why not choose to easily recuperate at home until you feel and look like yourself again? Other times of the year simply pose many more inconveniences than summer. It is hard to schedule surgery between the first days of school, the holidays, and even spring break. Take advantage of the lazy days of summer and schedule wisdom tooth surgery now. You'll have more appointment choices and the benefit of a relaxed recovery at home. For more information on wisdom teeth removal visit our website, or contact us today to schedule a consultation. Hurry - our summer appointments are filling up fast! © 2017 NORTHWEST ORAL & MAXILLOFACIAL SURGERY. All Rights Reserved. Website Design & Inbound Marketing by adWhite.